As the third most populated state in the country, there are ample commercial real estate listings in New York. In 2002, the gross state product was $1.16 trillion. Currently the population of New York City is estimated at 8.1 million, which makes it the largest city in the United States. New York City is a major financial, manufacturing and transportation center, and, as a result, opportunities for investment property and commercial realty are plentiful. While the majority of New York commercial real estate listings are in New York City, the Buffalo area, Rochester, Albany also have strong markets for commercial realty. In addition to outputs of items including chemicals, electronics, scientific instruments, and publishing, New York also has a strong agricultural side. Rural commercial land is dedicated to dairy, cattle, vegetables, and apples. Additionally, there are 30,000 acres of vineyards in New York and a large commercial fishing industry. A great deal of the industrial space in New York is designed to help with its exporting of goods, which include food, commodities, diamonds, auto parts and electronics. In an average year, New York can export $71.1 billion in goods. Coldwell Banker Reliable Commercial Division is pleased to offer 133A Quincy Street for sale. Have a restaurant or catering business but need a beautiful building to house it? Ideal for warehouse or storage. In close proximity to the Long Island Expressway. All serious offers will be considered. . . Owner Motivated!!! Updated Pro-Forma Attached. Currently being used as a Auto Collision Retail Redevelopment Opportunity! Reduced! Now Available for Sale or Lease! Commercial Building for Lease or Sale! 2,100 sq. ft. ground floor space with retail exposure. 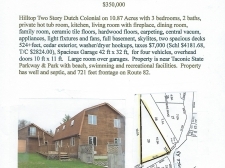 MAJOR PRICE REDUCTION!! Real Estate Taxes just reduced by 15%. New on the market! 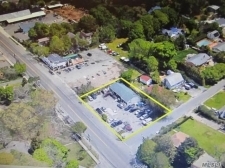 Great retail location at the entrance of Mastic Beach Business District. 30,000 Sf industrial building for sale on 2.83 acres. 100% leased. Long term leases. Professional landscaped property. Excellent visibility and signage. Retail location with great visibility, high traffic count and a lot of street frontage.